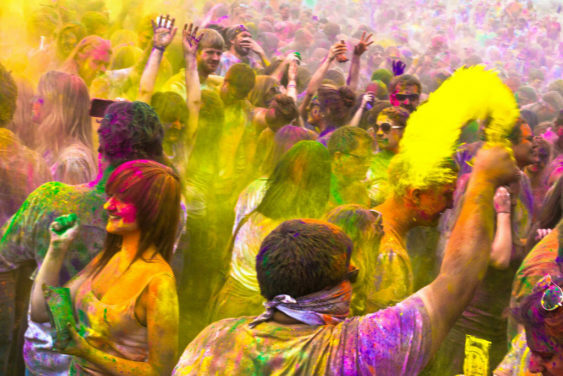 You’re invited to a one-day Holi Celebration put together by the Bay Area Youth Vaishnav Parivar in Milpitas. FREE, but bring money for colors, food and drinks. Come and enjoy this colorful festival celebrated amidst songs, dances, live music. No water allowed. Hot mouth watering snacks – Samosas, Bhel Puri, Misal Pav, Frankie, French Fries, Nachoes and the popular delicious thandai will be available for purchase. Color packets will be available to buy.